Just looking through I-photos, and realized that, just over a month ago today, I was on my way home from Argentina. 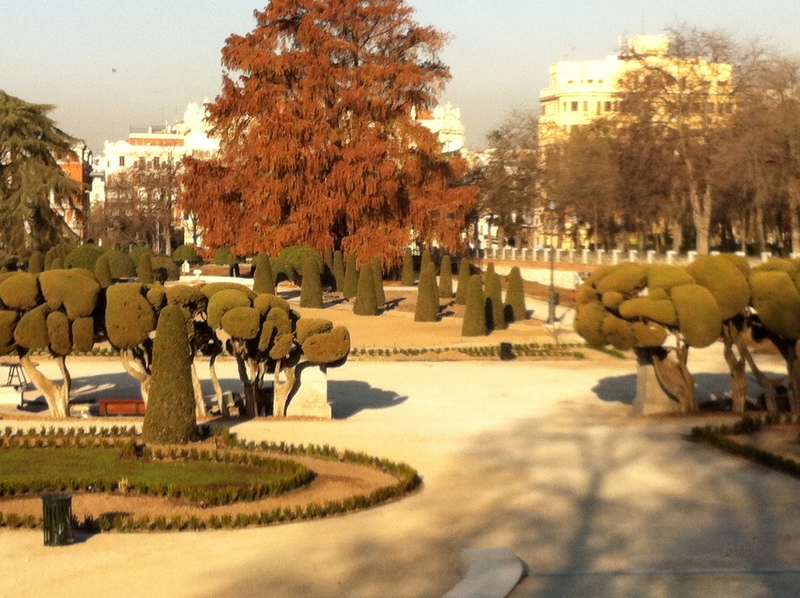 The journey back included a short stop-over in Madrid. It was 6am on arrival but, like most people, I hate hanging around airports, so I made the snap decision to grab a bus for the centre. This being Spain, I thought there was an outside-chance Prado might even open at 8. I had a vague notion of parking my hand luggage in the cloak room there and spending an hour, gazing at a few masterpieces by Velazquez and Hyronomous Boch. It was not to be. 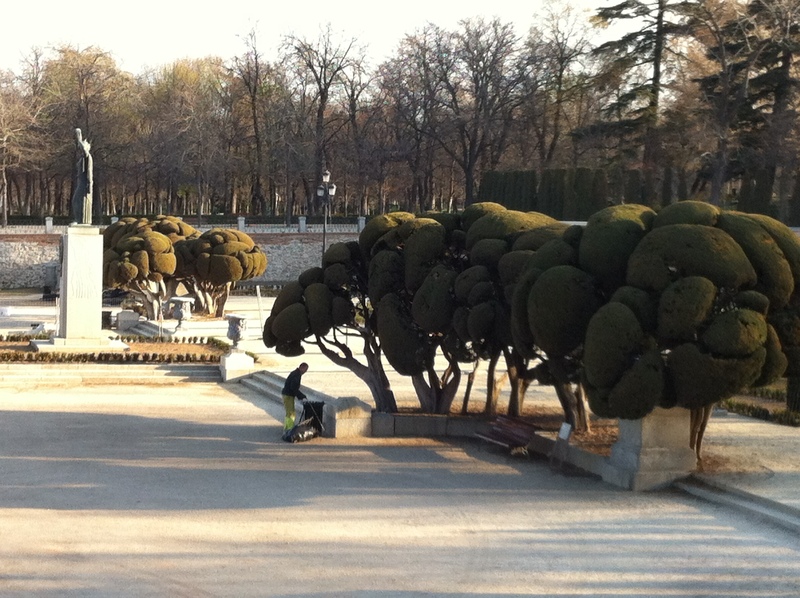 (the Prado opens at 10, not 8) So I wandered across to the nearby Retiro, to see what i could see, in 90 minutes of early-morning strolling. I’d only been once to Madrid before, over 18 years ago. It was January then, and even though it was absolutely freezing, I remembered how extraordinarily clear the sky was. 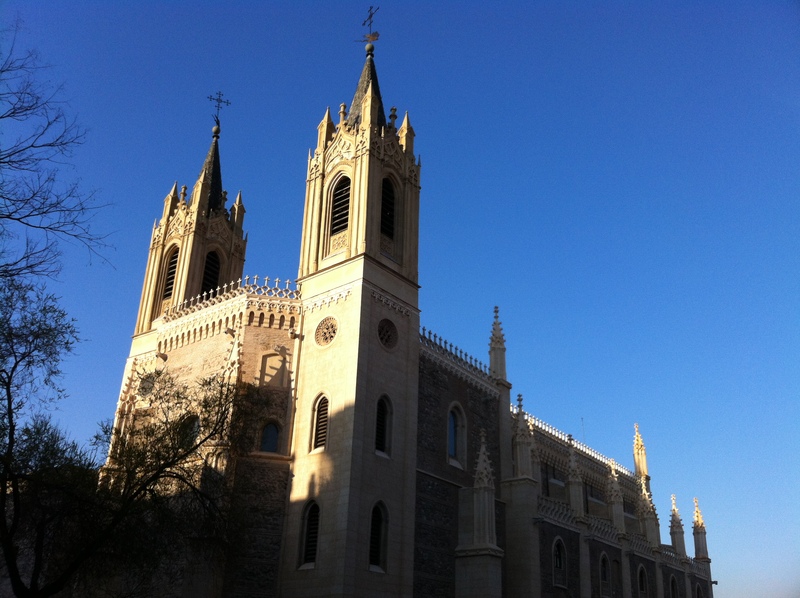 Right beside the Prado, and near the gates of the Retiro, the The Iglesia Parroquial de San Jerónimo el Real, the church usually known as Los Jerónimos. 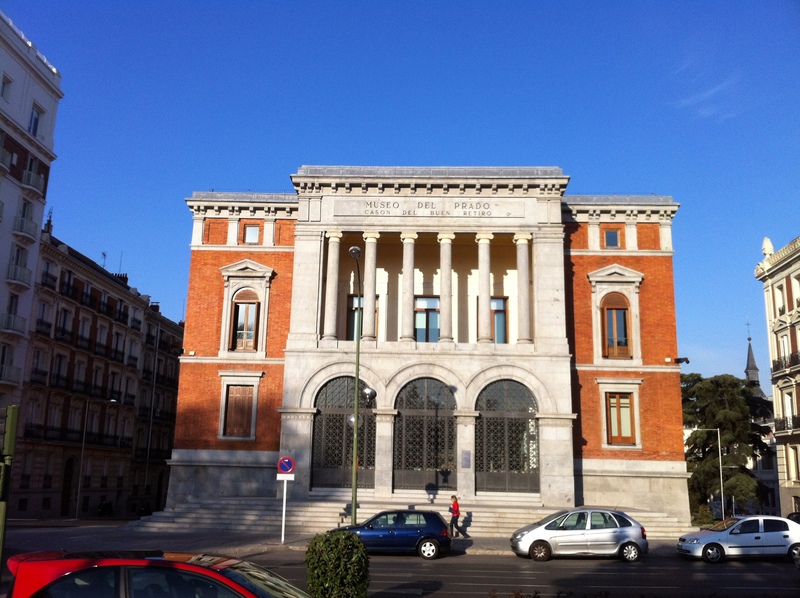 the Library of the Prado Museum is on a separate site. 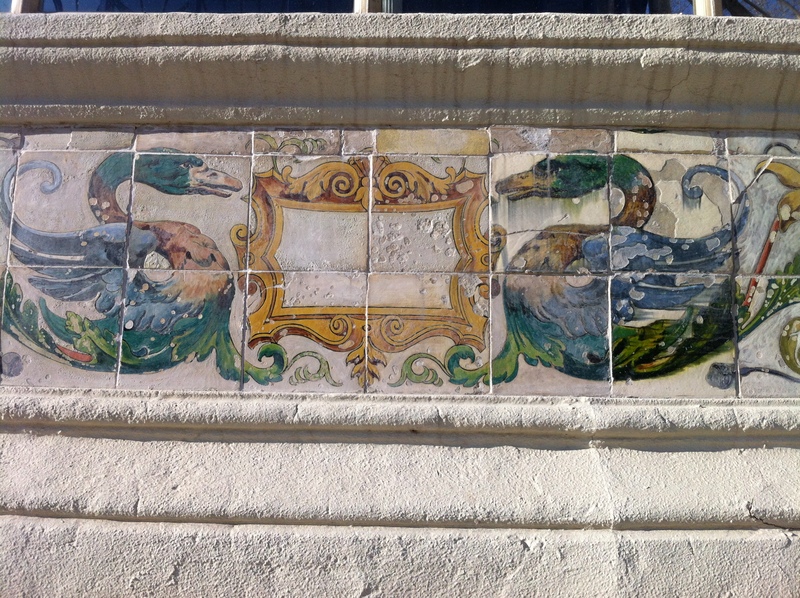 Opposite the one of the gates to the park. Inside the park was an army of attendants, keeping every hedge and footpath spotless and perfectly manicured. The sun was still rising and the light was growing ever warmer. Topiary seems all the rage. Some of the trees were sculpted and shaped to within an inch of their lives. 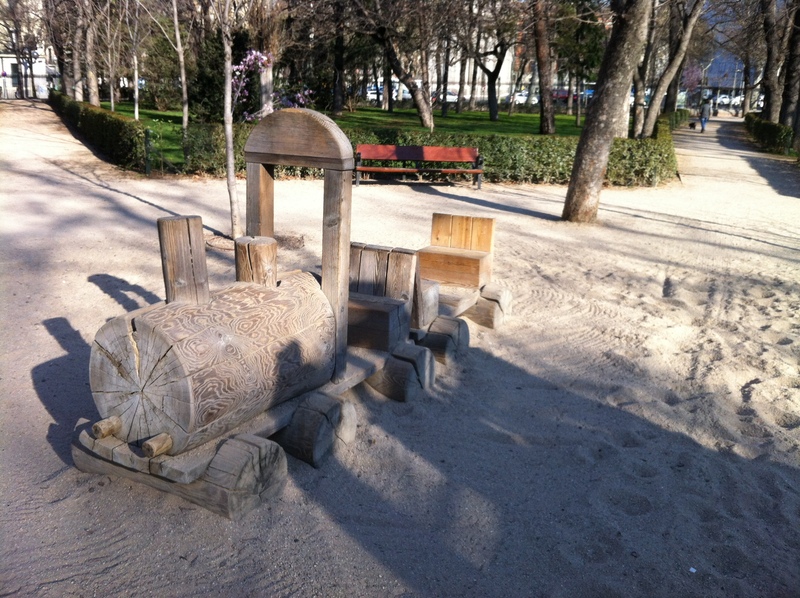 I liked these wooden toy-train and toy-tractor, in this sand-pit play area for kids. 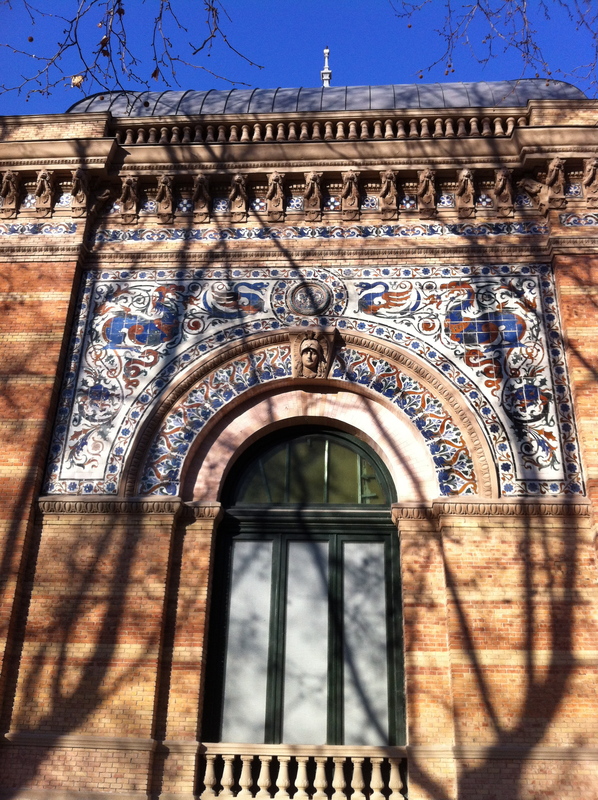 Spain of course has a superb tradition of decorative art in ceramics, showcased here by these lovely buildings, in the heart of the Retiro. 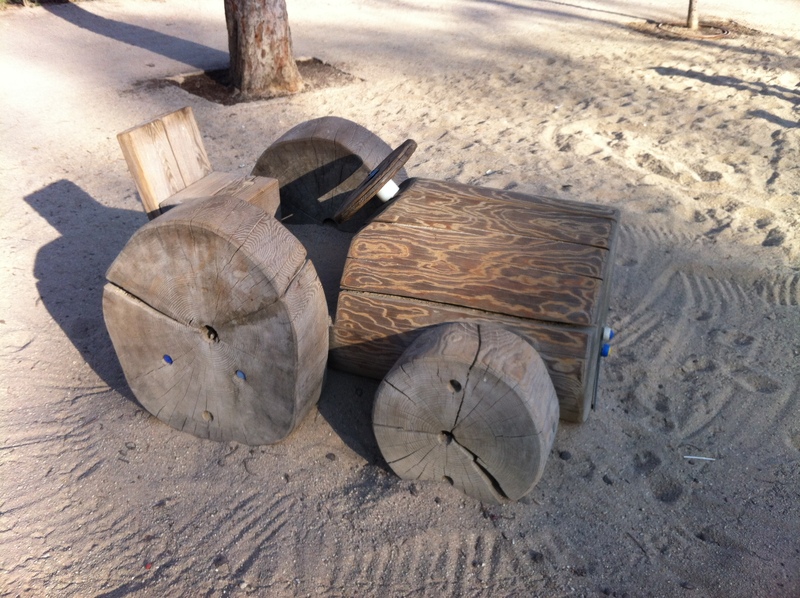 I found I had many clear memories of the park, from my sole previous visit, 18 years ago. Few people who visit the park fail to be impressed with the huge artificial lake, dominated by this enormous monument and statue to King Alphonso XII. From next week this blog will be switching its attention to my native city of Dublin. I hope you’ll continue to drop in, to follow and subscribe, and indeed to spread the word to any friends you think might be interested. 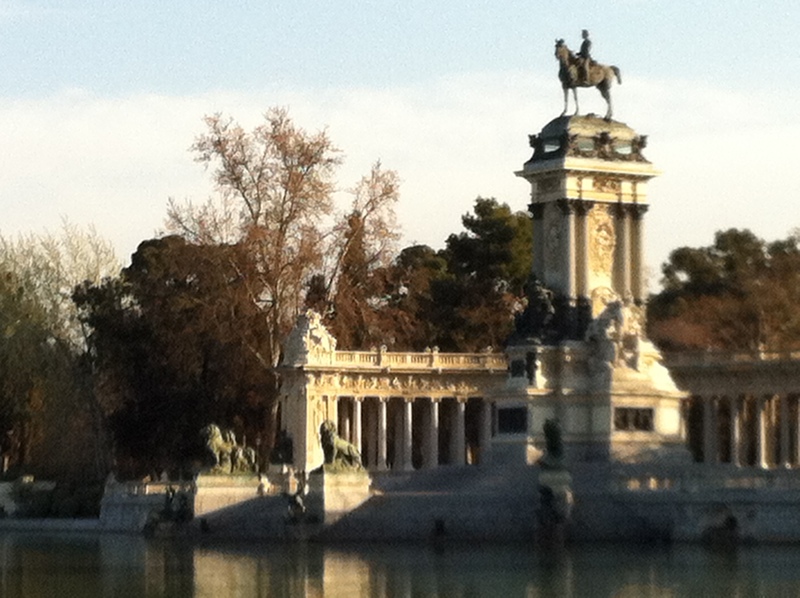 But for now I’ll leave you with this image, of Madrid, at its most grandiose and Imperial…. Anyway, I’m enjoying Dublin very much! Lots of things to do and lovely people. I’ll keep exploring the city and your blog will be very useful to do so. My pleasure, Ms. Breakfast-at-Cleo’s. (Is your name Cleo?) Yes, I was in Buenos Aires almost 2 months. 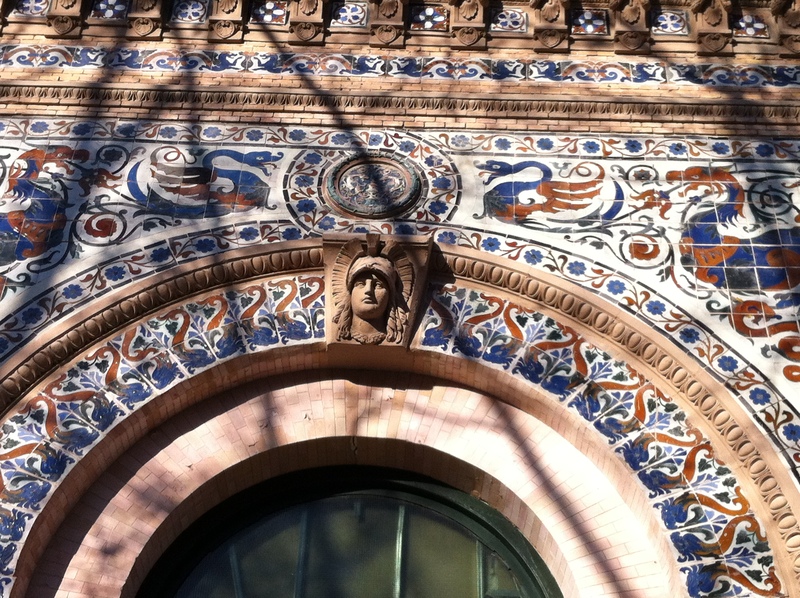 In fact, that’s where I started blogging, all my first posts were about, and from, that great and beautiful city. Are your family from there? Anyway, I hope you enjoy living in Dublin, whether you have come here to work or study. Let me know if you want any information about the city, and I’ll try and point you in the right direction. I also look forward to your Dublin posts. There are a few good art exhibitions on at the moment, I hope you find and enjoy. Arran. Next Post The Dublin street-scape picture quiz… Can you name 5 from 5?